Why Food-Grade Flooring is Important — T.W. Hicks Inc. In a previous blog, we broke down food- grade flooring (you can read that here! ), but we also want to talk about how important food-grade flooring is. No matter what kind of facility you are working in (like a dairy plant), what you make and sell is super important—but so are those people who are working in the facilities! So, don’t you want to make sure that your flooring is the right floor—for safety and sanitation reasons! As always, T.W. Hicks, Inc. is here to help you understand the food-grade flooring world! Not only do you have to make sure that your flooring is right for sanitary reasons, but safety is also important! Slippery floors can lead to falls—those are not the floors you want in your facility! This is why installing (and then maintaining!) your flooring is so important—and thankfully we here at T.W. Hicks, Inc. are here to help you! Whether the flooring you have right now is cracked or seems to be perfect, it is important to contact T.W. Hicks, Inc. to get more information about food-grade flooring—uneven floors can cause lots of issues at your food-grade flooring facility! Our work at Lone Star Milk! Here at T.W. Hicks, Inc. our goal is to always make sure that we come in and understand your situation—we come in and figure it all out, and then give you our estimate so that you are never blindsided during the whole process. Thankfully, we are well versed in the food-grade flooring world and we are more than ready to help you! You can check out some of our past projects here. Whether T.W. 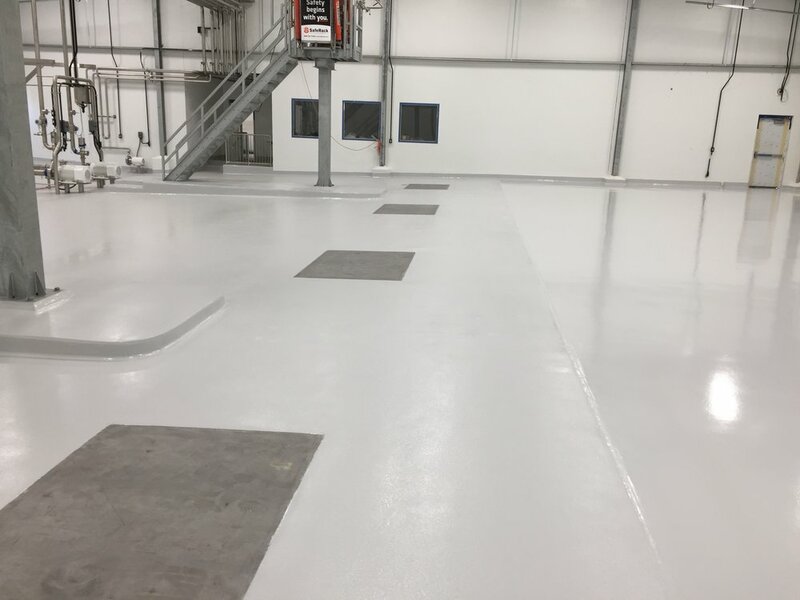 Hicks, Inc. is helping you put in the right epoxy, or putting in a seamless urethane concrete system—we will make sure that we understand your situation and do the best job possible! Contact T.W. Hicks, Inc. today to get started on your food-grade flooring project!